What is rock n’ roll to you? That seems to be an easy enough question. Yet, the question is likely to draw many different answers depending on whom you ask. There is also a good chance that the opinions will be very polarizing and disagreements will most certainly arise. There have always been classifications in rock music, but right around the early to mid-nineties the rise of grunge drew a very deep line in the sand. On one side, you had kids clinging to the unpolished sound of Seattle bands like Nirvana and Soundgarden, while shunning the likes of Bon Jovi and Poison. The music was serious and full of angst. Gone were the guitar solos and the fun. One the other side, you had loyalists holding on to the music that they grew up with while baring deep resentment (even to this day) to this new breed of music. While a few bands managed to make it through the transition unscathed, most bands went through a major identity crisis due to the Seattle takeover. Some of the biggest bands of the day never recovered. It was death by flannel. To this day, the divide has never been greater. Now it is no longer a two sided coin. You gave classic rock, idie rock, metal, nu-metal, punk rock…and Nickelback. Here is another question for you…. Who is Farmikos? If you don’t know, now may be a good time to start taking notes. 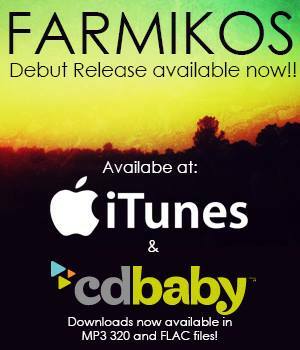 Farmikos is an exciting new rock n’ roll band that is breaking down those walls of division in rock n’ roll. Made up of guitarist Joe Holmes and Vocalist Robbie Locke, Farmikos is a hard rock band at its core which draws influences from all sorts of other areas of rock to create a sound that defies time and labels. Joe Holmes, who was a student of the late Randy Rhodes and guitarist for David Lee Roth and Ozzy Osborune, delivers a mix of big riffs and solos which perfectly mix technique and feel. You could listen to this record without vocals and enjoy it immensely. This is saying something for me as I become bored rather quickly with guitar hero type records. This is a true nod to the ability and execution of Holmes. However, even though the music could certainly stand on its own, you do not want to miss out on the vocal performance that Robbie Locke delivers on this record. Locke kicks off the record aggressively on the opening, “Scapegoat,” but shows that he is not confined to one style on the record. The singer manages to maintain his indemnity for the entirety of the record, while giving each song its own dynamic sound. 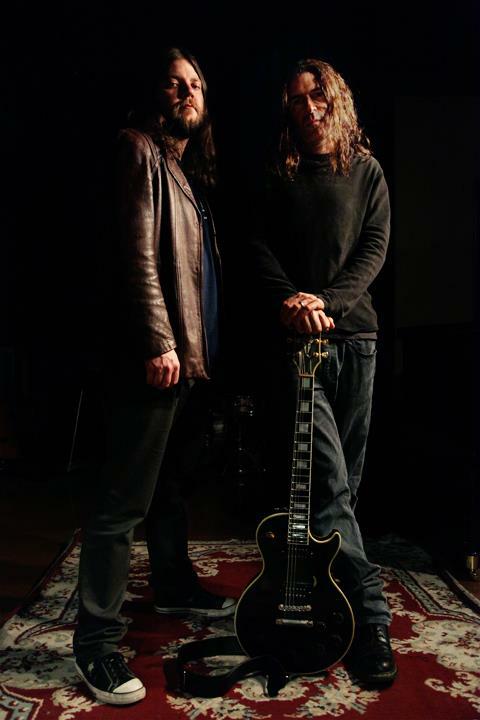 While the band is made up of the two core members, the album features Metallica’s Robert Trujillo on bass and Brooks Wackerman from Bad Religion on drums. The songs that make up the self-titled record are the true stars. Each song is well written both lyrically and musically. The songs are carefully constructed of distinct parts and styles that keep things interesting and fresh for the listener. As you listen to this album, you get a sense of what may have happened if grunge and the rest of the rock world would have embraced each other all of those years ago. If I had to describe the sound of this band, I would say Alice in Chains meet Van Halen, though it is much more complex than that. There are moments where you hear elements of Soundgarden, but then Holmes guitar takes you into a Sabbath vibe. Even though I am using other bands to help describe to you the sound, make no doubt that this band has a sound and identity very much its own. At the end of the day, all I can say is that Farmikos is a killer band who has made a record that stands heads and shoulders above anything that has come out recently. 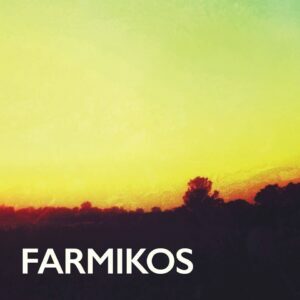 I dare say that Farmikos is the closest thing to a perfect rock n roll record than I have heard in a long time. Buy this record!! !